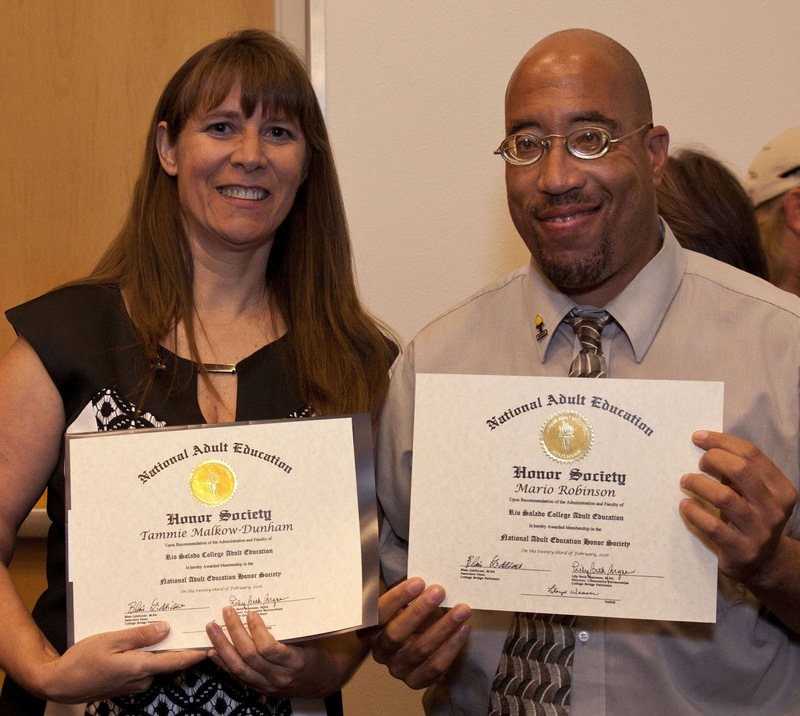 Rio Salado College | RioNews: Congratulations to Rio 2016 NAEHS Inductees! Congratulations to Rio 2016 NAEHS Inductees! 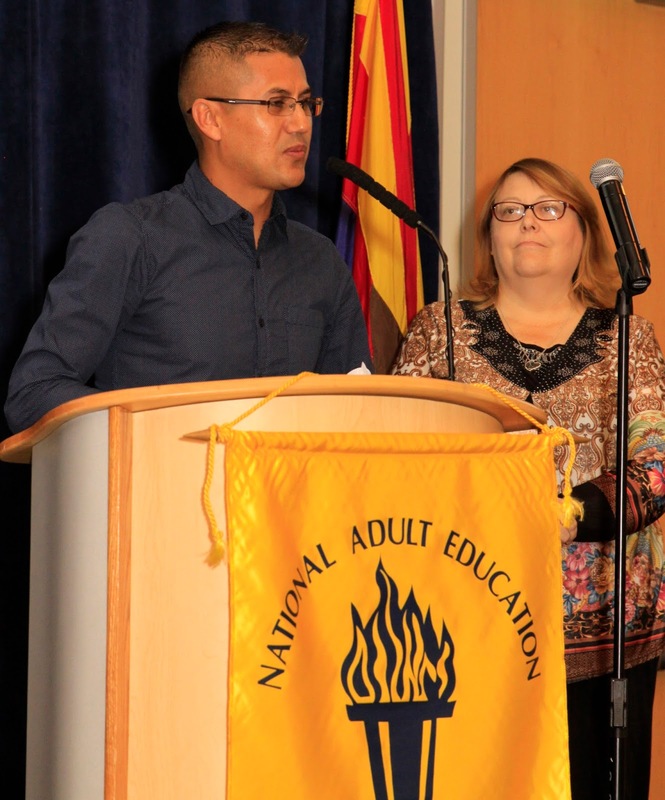 Rio Salado's College Bridge Pathways (CBP) team held its 22nd National Adult Education Honor Society (NAEHS) induction ceremony on February 23, 2016. The NAEHS ceremony held at the Rio Salado Conference center, recognized CBP students who have shown exceptional commitment to their educational goals, persistence in class, a strong work ethic and willingness to help fellow students. 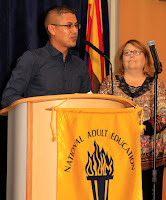 The students recognized for this honor are enrolled in Rio Salado’s English Language Acquisition for Adults program, which provides instruction for those learning English as a second language-- and Rio Salado's High School Equivalency prep program, which helps students prepare for the GED® test. Each year the NAEHS induction ceremony recognizes outstanding students who often come from diverse backgrounds but all share one thing in common-- a desire to continue their education and reach for their dream! News and photos courtesy of Rio Salado Instructional Specialist Philip Suriano.